Registered drone operators may no loner need special permits to fly over crowded areas. Drones are poised to become a lot more annoying. 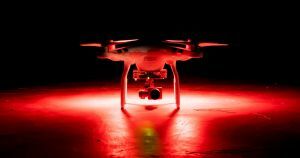 The Federal Aviation Administration (FAA), which is responsible for regulating drones, proposed a new set of rules for drone flights on Monday that would allow for nighttime flights and flights in populated areas without requiring a special permit. In short, the populated areas of the future could pick up a constant, cicada-like buzz from the whine of drone rotors. Under the new rules, registered drone operators would be able to fly their drones at night or overhead in crowded areas as long as they passed relevant training programs and tests and equip their drones with lights, explained Elaine Chao, the U.S. Secretary of Transportation, at an annual meeting for the Department of Transportation on Monday. “At long last, the department is ready to issue for comment a proposed new rule that would allow drones to fly overnight and over people without waivers, if certain conditions are met,” said Chao. The American Government’s plan to relax restrictions on drone flight comes at an odd time, the MIT Technology Review reports, as the U.K. is now working to tighten its own drone rules after an unauthorized drone’s presence shut down London’s Gatwick Airport. The newly-proposed U.K. regulations would give police additional powers to seize and search drones as well as to demand paperwork from drone operators, who would have to register with the government by November 2019. If the FAA’s new rules are enacted, drones could become a lot more ubiquitous, especially in cities that have for the most part remained blissfully drone-free. On one hand, that means more freedom for hobbyists and businesses to explore potential new ways to use the technology. But it also means that we’ll have to endure much more of that annoying tell-tale buzzing noise as more drones zip around our cities.